TEL AVIV, Israel — In a dramatic departure from previous Israeli Navy modernization plans — which prescribed several years of study before determining requirements for its future undersea force — a senior officer now says the service needs three new Dolphin AIP-class submarines "as fast as possible." The sense of urgency communicated by the officer marked an about-face from plans articulated by a senior commander just last November, prior to a widening police investigation into possible conflicts of interest between the office of Prime Minister Benjamin Netanyahu and the Kiel, Germany-based shipyard that builds the Dolphin-class submarines for the Israeli Navy. At the time, a former commander, recently retired, noted that the Navy was only in initial study phases for a next-generation submarine. He estimated it could take years of study since "we're talking about an entirely different submarine from the Dolphin or the Dolphin AIP." He was referring to the first three Israeli-designed Dolphins and the follow-on three air-independent propulsion submarines contracted with the ThyssenKrupp Marine Systems, or TKMS, shipyard, all but one of which has been delivered. But the new Navy plan, as articulated in an interview authorized by an Israeli military spokesman on condition the senior officer remain unnamed, puts the service squarely in lockstep behind Netanyahu, who announced in late October that Israel was nearing a deal with Germany for three new AIP Dolphin submarines. Netanyahu is now under investigation for possible improprieties associated with the prospective German submarine deal, which was negotiated at an accelerated pace by the prime minister's office without the active involvement of the Navy and against the wishes of an Israeli defense minister, who has since been replaced. Even now, details of the estimated €1.2 billion (U.S. $1.3 billion) deal with the German government of Angela Merkel are far from clear, with Israel's Haaretz newspaper reporting on Tuesday that Berlin insisted on inserting a clause into a soon-to-be signed memorandum of understanding that will scrap the entire package should the ongoing police investigation substantiate suspicions of graft. Suspicions first reported by Israel's Channel 10 center around connections between Netanyahu and his personal attorney, David Shimron, who is also representing Micky Ganor, a retired Navy officer and authorized TKMS agent who happens to live near the prime minister in the plush seaside golf community of Caesaria. Ganor replaced longtime TKMS agent Yeshayahu Bareket, a retired Israeli Air Force officer, following intervention from former Israel Navy commander Eli Marom who, according to local media reports, is also a subject of the ongoing investigation. In an interview Wednesday, Bareket confirmed that seven years ago, Marom, then the Navy's top officer, strong-armed the shipyard to oust him from the job. "It's true. I was involved for over 20 years with the submarines. I enjoyed it and my work there was to the mutual benefit of my country and the shipyard. Thank God I'm out with clean hands," Bareket told Defense News. To add to the intrigue, Shimron is a cousin of Netanyahu who shares a law firm with Yitzhak Molcho, the Israeli premier's confidante and attorney on official matters, including negotiations with foreign governments. 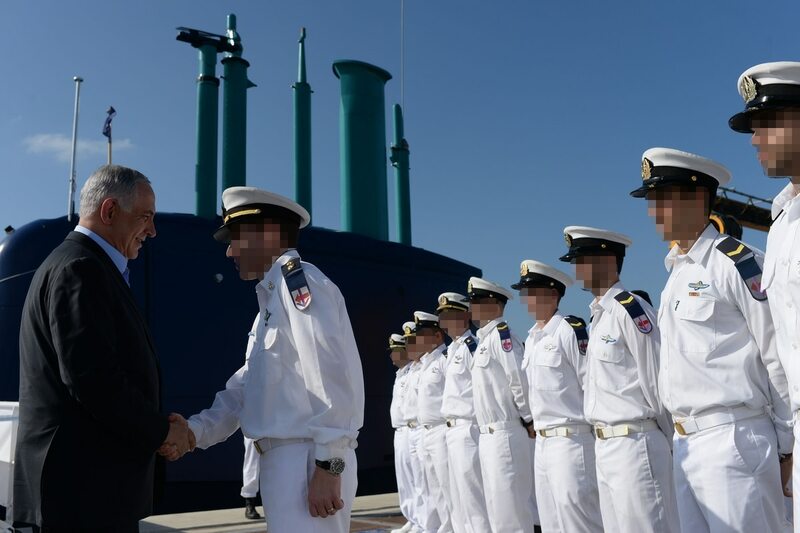 In recent weeks, more revelations have leaked from the ongoing investigation that ostensibly contradict claims by Netanyahu's office that Molcho had no contact or communications with Shimron on the prospective submarine buy. Netanyahu spokesman David Keyes declined comment on the ongoing investigation or the Haaretz report of the special clause that Berlin wanted inserted in the pending government-to-government memorandum of understanding. As for the Navy's new plans to acquire three submarines "as fast as possible," the officer said the service has already defined — through a top-level requirements document — basic capabilities needed for the future submarine force. "We pretty much know what we want. It basically will be the AIP Dolphin-class submarines, with some room for growth, with new materials, better sonar … but pretty much the same design," the officer said. According to the officer, the Navy is compelled to move swiftly on three new submarines to replace the first three Dolphin-class vessels before the end of their estimated 30-year lifespan. He noted that it takes eight to 10 years between contracting for a submarine and the time it becomes operational — a timeline he estimated could make the Navy's older Dolphin subs obsolete around the 2027 timeframe. "It's necessary for us to replace the first three submarines. And the matter of timing is pressing," he said. "We haven't yet signed any agreement. We just explained why we need them now. Now we're waiting for permission from the Ministry of Defense to proceed with negotiations." However, the officer erred when claiming that Israel's first submarines would be nearing the end of their service life within a decade. In fact, Israel's first three submarines were delivered in July 1999, November 1999 and October 2000, and they are all expected to remain operable through at least the end of the next decade. Israel's sixth strategic submarine, the Dolphin AIP INS Dakar, is expected to arrive here in late 2019 or in early 2020, service officials say. Prior to the recent scandal, the Israeli military — as part of its current five-year plan — was mulling the possibility of retiring the oldest Dolphin rather than replacing it. Opall-Rome is Israel bureau chief for Defense News. She has been covering U.S.-Israel strategic cooperation, Mideast security and missile defense since May 1988. She lives north of Tel Aviv. Visit her website at www.opall-rome.com.